I have been busy building up a stash fund! I have lost my hobby room for the foreseeable future so I have had to reconsider how I spend my time. 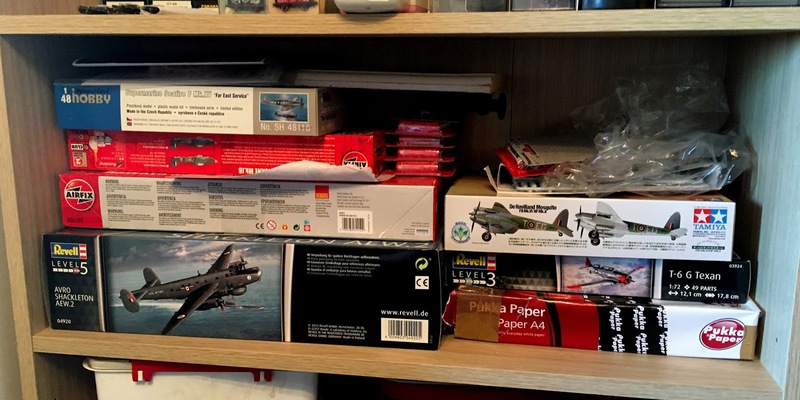 The decision was that I had to clear myself of all of my model railway as I think it is probable that I won't go back to model railways once the room becomes available again. I have decided - along with some good pressure from my wife - to go, full tilt, back into plastic modelling and to improve my music capabilites. I have spent the last couple of weeks disposing of the model railway. There are two sets of funds coming from this. The money from the current railway is to go into a new, upgraded concertina (see My Other Hobbies blog). Any money from other stuff is going into a stash fund. So far this fund has reached around £350 so I am on a bit of a roll! 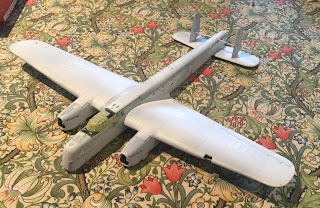 I am going to specialise on FleetAir Arm aircraft, as I determined six years ago, but got a bit distracted. As you can see, though, there will be a few US Navy planes included. Airfix 1:72 Whitley - intended to be in BOAC colours so has been "civilianised". 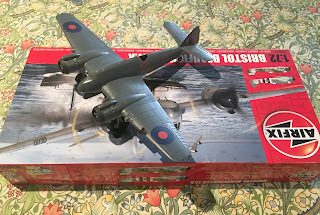 Airfix 1:72 Torbeau (Torpedo fitted Beaufighter) Banff Strike Wing - custom decals. Why are they all unfinished. Well, the Whitely has some bad fit issues and I keep putting off starting painting it. There is a bad fit on the rear fuselage and also on the starboard wing join. I do need to get one top coat on and see the real issue as it always looks worse in primer. The Torbeau has had its custom serials added but I messed u the roundel position. 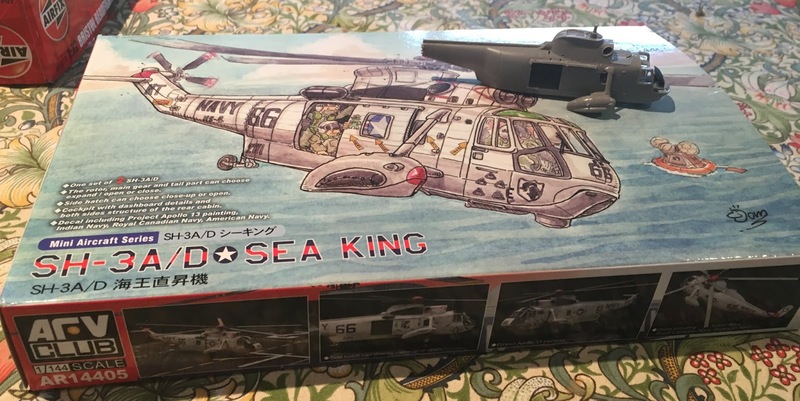 I am waiting for a new set of decals from Hannants. 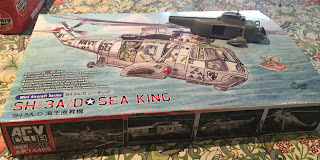 The Sea King is a lovely little kit but to move on I need to mask some windows. As I don't have any masking fluid, it has to wait until the show on Sunday. Remember: Click on any photo for a slideshow.